We would like to wish a very happy 90th birthday to the amazing Eris Jolly! Eris is a dynamic and active lady who has been at the forefront of the Perrin Creek Bush Care Group for over 20 years. At least twice every week Eris can be found at the Seven Hills site – weeding, planting and nurturing. She is a big supporter and part of B4C, assisting at Open Days and other events. She’s also involved in the Coorparoo Historical Society as well as other local organisations. 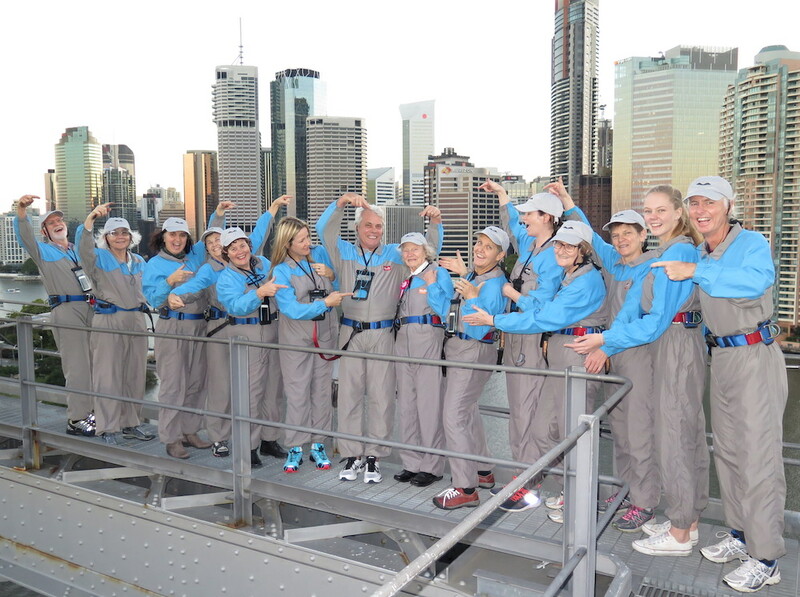 To celebrate her birthday on the weekend, Eris chose to climb Story Bridge with friends from bushcare. For those who know Eris it won’t surprise you that she did this with much energy and enthusiasm! Eris witnessed the construction of the bridge when she was a child as her grandparents’ house had a very good view of the site. 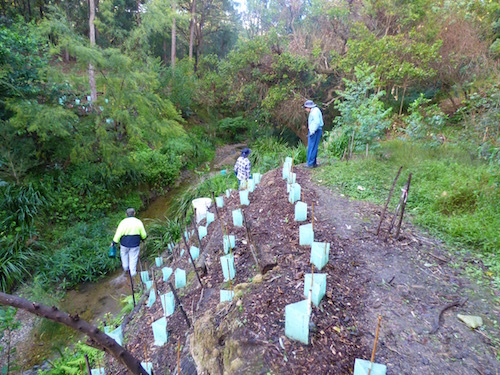 Eris at the top of the bank at the Perrin Creek Bushcare site. Eris Jolly, Perrin Creek, Seven Hills.